Mr. Brant is also selling a Warhol. “Tunafish Disaster,” a 1963 painting from the “Death and Disaster Series,” is being offered at Christie’s on Nov. 10 with an estimate of $6 million to $8 million. 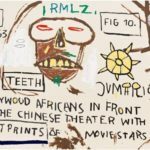 In addition Mr. Brant is selling a 1983 six-panel painting by Jean-Michel Basquiat, “Brother Sausage.” Christie’s experts believe it could bring $9 million to $12 million. There is dealer property too, like Mondrian’s “Composition II, With Red, 1926” that other dealers say is from the Nahmads, a family that runs galleries in London and New York. 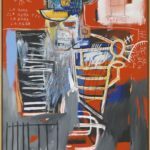 They bought the abstract canvas at Christie’s in London five years ago for $2.9 million and are now hoping to get $4.5 million to $6.5 million.